In an instant everything can be changed…our health, finances, relationships, the World we live in. So it’s up to us to stop waiting for something bad to happen before we start being grateful for the gift that is life. Start NOW. 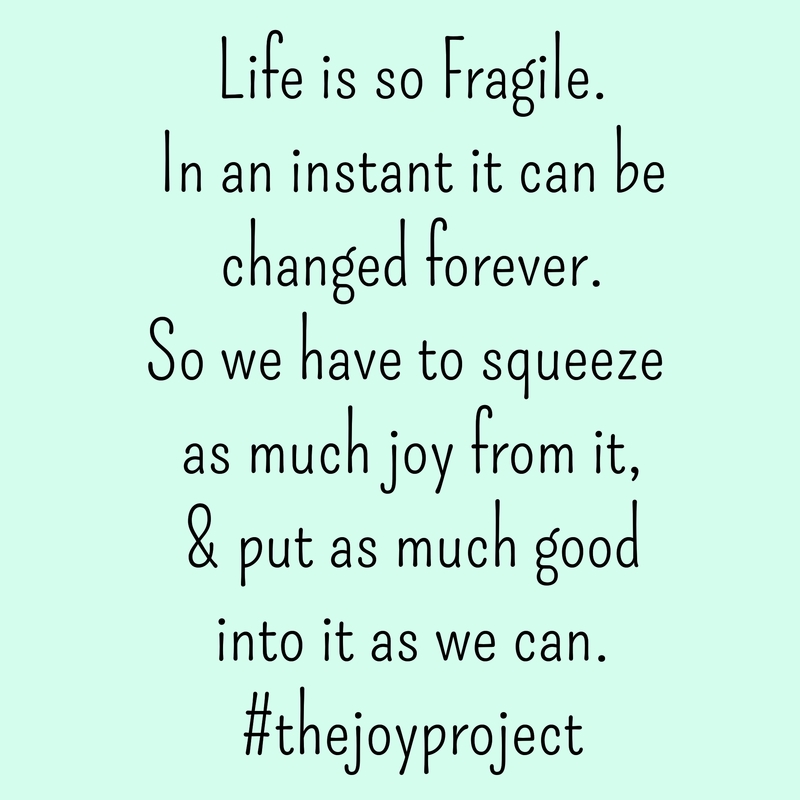 Squeeze every drop of joy out of life that you can and pour every drop of good you can into it.